Notifier by Honeywell Supports Marlowe Fire & Security at their Innovation day. Marlowe Fire & Security host their 2018 Innovation Day. 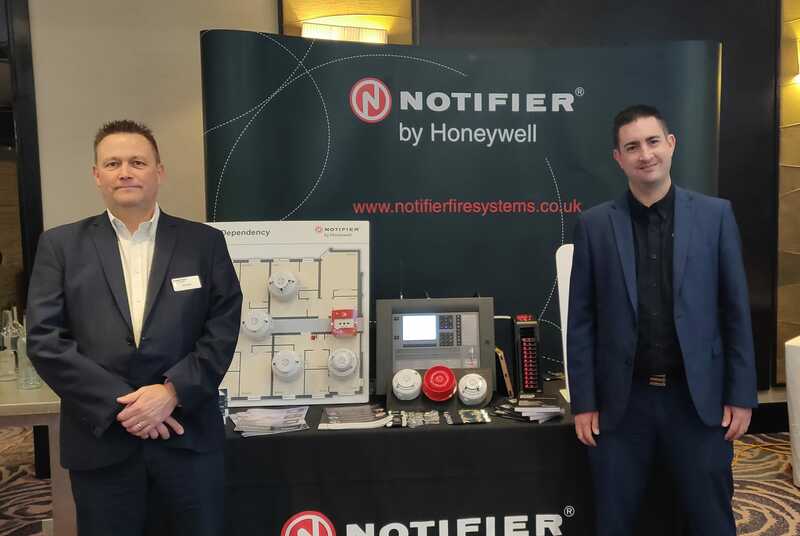 Yesterday, 14th November, Notifier by Honeywell were invited to showcase Notifier products at the Marlowe Fire & Security Innovation day. This gave Business Managers, Mike Hobbs and Mick Bull the opportunity to demonstrate to customers and end users Notifier products. The Pearl Panel was the main product on display and received great feedback. They were also joined by James Mitchel from CST, who showcased the Honeywell Paging system while being connected to the Pearl Panel. The whole system connected with Notifier, gave the End-User a better understanding of how the whole system works in the event of a fire. Well done to Marlowe Fire & Security for such a great opportunity to meet their customers and We look forward to more of these events.